Laffer Drive will be temporarily closed between Sturt Road and the Flinders Drive Extension as the works are undertaken from 8pm on Friday, 5 April until 6am on Monday, 8 April. The works will occur on the westbound lanes of Sturt Road, between Birch Crescent and Main South Road. The northern section of Laffer Drive will be temporarily closed. 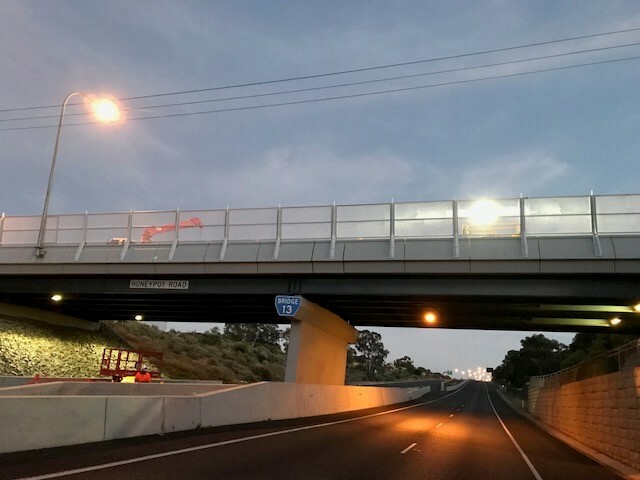 Vehicles wanting to access the southern end of Laffer Drive and Hugh Cairns Avenue will be required to use the Flinders Drive Extension (new road connection between Sturt Road and Main South Road). This will be accessible via Sturt Road only. The westbound lanes of Sturt Road through the work area will be closed, with traffic shifted onto the eastbound lanes. All movements will remain available at the junction of Sturt Road and Birch Crescent, with right turns managed under the direction of traffic controllers. Bus stop 27A on Laffer Drive will be temporarily relocated to the Flinders Drive Extension. Motorists wishing to access the Flinders Medical Centre car park on Laffer Drive will be required to do so from the Flinders Drive Extension. Traffic controllers will permit access through the closed section of road, to the car park. Pedestrian access on Sturt Road and Laffer Drive will be maintained. Speed restrictions will be in place on Sturt Road during the works. A profiler, excavator, asphalt trucks, roller, paver and lighting towers will be used throughout the works. While some noise disturbance can be expected, the work will be managed to minimise disturbance to local residents as much as possible. The department appreciates your patience while these important works are undertaken.